A Bundestag inquiry into the surveillance practices of foreign and national intelligence services in Germany grilled Merkel on February 16, with the Chancellor saying she expressed surprise when notified the BND had surveilled the activities of politicians in "friendly" countries. "I assumed the BND does not engage in such activities. It's a waste of effort and energy," Merkel told the inquiry. She went on to attribute her lack of knowledge about the affair to "technical and organizational deficits" within the agency, pledging to replace BND chief Bruno Kahl and rein in the agency's activities — although details on how these apparent issues could be resolved were lacking. Andre Hahn, a Die Linke MP in the Bundestag, said serious questions remained about the activities of the BND. "The BND service spied on many European governments, ministries, international organizations, non-governmental organizations, etc. In all these cases, it violated legal norms, laws and the Constitution," Mr. Hahn told Sputnik. He added that if Merkel was genuinely unaware of the BND's activities until 2015, it meant the service was acting independently of political oversight and control — raising the questions of whether intelligence "has the right to act entirely on its own?" and "who actually exercises control over it?" The inquiry hopes to have its final report completed by the end of June. For three years, it has delved into Edward Snowden's disclosures, which indicated the US NSA had conducted significant internet and phone data sweeps on German politicians. 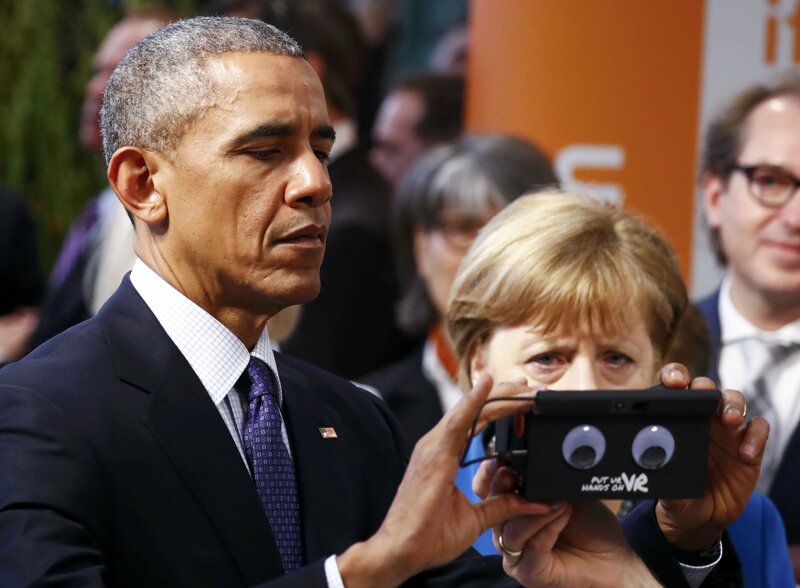 The revelations, which exposed that phones used by Merkel had long been tapped by the NSA, significantly strained relations between Berlin and Washington in public, with Merkel saying "spying among friends — that simply is not doneю" She went on to craft a "no-spy" agreement with the US, which was ultimately unsuccessful. Such sentiments sound hollow in light of the inquiry's findings, particularly as the BND was found to have aided the NSA in its surveillance of friendly states, spying on a list of European targets handed to it by the American agency, and exchanging data with the US in return for spyware. The revelations will only add to public speculation that the rift between Germany and the US was purely public theatrics, given documents released in 2016 by WikiLeaks indicated the German government knew of NSA spying in the country as early as 2001. German Chancellor Angela Merkel and President Barack Obama, Hanover, Germany April 25, 2016. Social Democrat Christian Flisek, who sits on the inquiry team, went as far to call the government's handling of the entire affair a deliberate deception. "The 'no-spy' agreement was a large-scale deception of the German public, because the USA was never ready for such a pact," he said. The revelations of NSA/BND collaboration have severely damaged Germany's standing with its foreign allies. In 2015, neighboring Austria filed a formal complaint over spying on its authorities and firms. The country's Bad Aibling listening post was also used to spy on the French presidential palace, French foreign ministry and European Commission. French-based aviation firm Airbus, one of the targets of the spying, filed a criminal complaint against Germany over the issue. Former BND director Gerhard Schindler has admitted the agency had made mistakes in handling requests from the NSA. "We have learned a lesson. We made a number of mistakes during our collaboration. We were not attentive enough while running through the NSA's online searches. These mistakes have been corrected and right now we are doing this in a thorough and systematic way," he said. The searches the BND performed for the NSA included phone numbers and e-mail addresses, which meant the BND's computer surveillance systems then targeted specific individuals or organizations, many of which were European companies and senior political figures in France and the European Commission.